Contains various updates and progress reports from video students in Rambler Productions. This week , Sebastion, Conrad, and I started filming our news package for Relay for life. We got a little bit done, but still have a lot to do, I’m going to see about getting footage from Rosie at the Grade school, and getting pictures from Mrs.Cook. 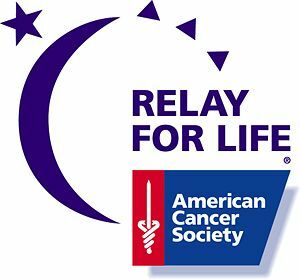 I have finished coming up with my idea for my news package, it will be based on Relay For Life, and I’ll probably film it on Thursday. My ideas for it are to describe what Relay For Life is about, and what we do at the event. Such as we get 15 hours of community service, we raise money for Cancer, you can get free icecream, etc. I will be doing the project with someone and we will have a couple other people to be in the video. The photo below shows some of my Celtx script. 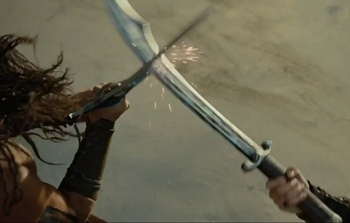 So, I’ve been planning an action sequence with a medieval theme with an assassin and a guard brawling. I’m planning on expanding off of this and attempting to create a movie. Though I just need the time to film this piece. The fighting scenes will all take place in the woods where there is cover, scenery and it has a good medieval theme in my opinion. I am planning on making a paper air plane dogfight for my next piece. It’s my action sequence. I am also planning on my trailer. I’m going to make it seem like an end of the world theme because all of the bacon is gone. 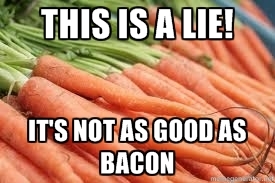 Sense all of the bacon is gone that is causing riots and people to find healthier alternatives. This week I started the Shaw Challenge, this weekend I plant to finish the script and the storyboard for the Shaw challenge and will plan on starting to film next week. I will try to finish up my two Web series videos, that I have filmed, also. Afterwards I will have two more episodes required for video (will do more than just two), and I will have a final project and a contest to enter, left to do. I still have 2 more projects to complete, my news package and my documentary. I believe I have 2 great ideas for each. I will start doing my news package next by starting my pre-production by making my storyboard with dialogue, props, locations and actors needed to make this project a reality. I hope is all goes well and will keep you updated on what I am up to week-by-week. If you are wondering what my news package will be, right now I do have an idea, but I would like to wait on it until I feel I have a solid base of a plot going on before releasing what it will be. Cothers, Ben. 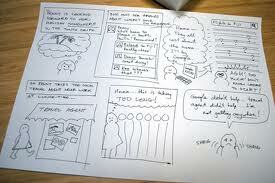 “Storyboarding & UX – Part 2: Creating Your Own.” Johnny Holland. Catch Media, 19 Oct. 2011. Web. 02 May 2014. This vacation I will watch and critique two videos on the AFI’s 100 Years 100 Movies list. I will also film, edit, and publish two webcasts, and the accompanying critiques. Then I will look for a contest to enter, and start on ideas for the Shaw Challenge, and my final movie. This weekend I will try to do my second web cast, next week I will do the Shaw Challenge. 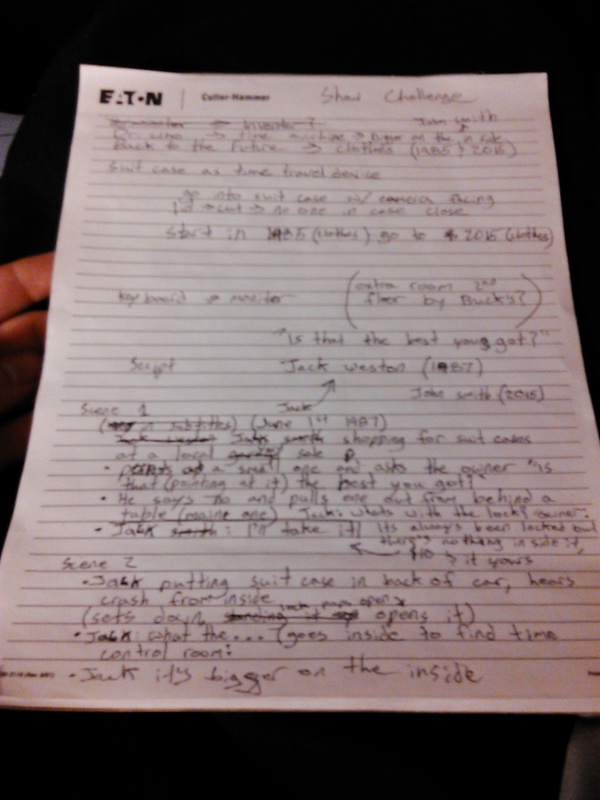 My dad gave me the song names so I will be able to start editing the next final product soon. I will try to put out a webcast before the end of the weekend, and will try to get the names of the songs my dad wants me to select out and put them into another video for him to share via email. Will do the Shaw challenge next week, will do a movie critique soon after. Will hopefully film a webcast, and start planing for my final project. This week I set up a system for the class to use and labeled our gear. There is also a sing-out sheet I set up for the system. Copyright © 2019 Rambler Productions. All Rights Reserved. The Gridiculous Theme by bavotasan.com.